^ Robert S. Weddle, The French Thorn: Rival Explorers in the Spanish Sea, 1682-1762(1991). ^ Railroad mileage is from: Chauncey Depew (ed. ), One Hundred Years of American Commerce 1795-1895, p. 111; For other data see: 1860 US census and Carter, Susan B., ed. The Historical Statistics of the United States: Millennial Edition (5 vols), 2006. Thomas P. Abernethy. The South in the New Nation, 1789-1819. LSU Press. John R. Alden. The South in the Revolution, 1763-1789. LSU Press. Numan V. Bartley. The New South, 1945-1980. LSU Press. Avery O. Craven. The Growth of Southern Nationalism, 1848-1861. LSU Press. Wesley Frank Craven. The Southern Colonies in the Seventeenth Century, 1607?1689. LSU Press. E. Merton Coulter. The Confederate States of America, 1861-1865. LSU Press. E. Merton Coulter. The South During Reconstruction, 1865-1877. LSU Press. William C. Davis (2003). Look Away! A History of the Confederate States of America. New York: Free Press. ISBN 0-684-86585-8. John Samuel Ezell; The South since 1865 Macmillan, 1963. Heather A. Haveman. "Antebellum literary culture and the evolution of American magazines." Poetics 32 (2004): 5-28. Peter Kolchin (1993). 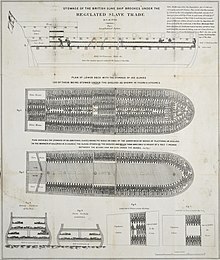 American Slavery: 1619-1877. New York: Hill and Wang. ISBN 0-8090-1630-3. Alexander P. Lamis, ed. Southern Politics in the 1990s Louisiana State University Press, 1999. James Loewen, Lies Across America, New York: Touchstone, 1999. Charles W. Sydnor. The Development of Southern Sectionalism, 1819-1848. LSU Press. George B. Tindall. The Emergence of the New South, 1913-1945. LSU Press. C. Vann Woodward. Origins of the New South, 1877-1913. LSU Press. Bertram Wyatt-Brown (1990). Honor and Violence in the Old South. New York: Oxford Univ. Press. ISBN 0-19-504242-5. Journal of Southern Religion published at Florida State University. Mississippi Quarterly: The Journal of Southern Cultures published by Mississippi State University. Southern Spaces published at エモリー大学.